This summer I was bitten by the crochetalong bug and took part in three CALS, one after the other. CAL #2 was an interlocking crochet scarf designed by Maria Segares for the Crochet Guild of America (CGOA) Summer CAL. Many CALs have prizes, chosen randomly from those who complete the project and post a photo of it. And I was absolutely stunned to find out that I was a winner. 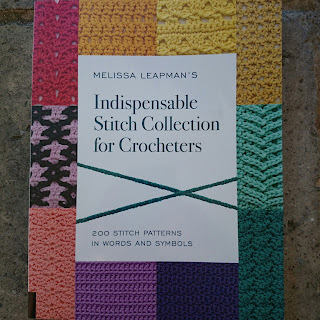 There were several prizes for the CGOA CAL and I won Melissa Leapman's Indispensable Stitch Collection for Crocheters 200 Stitch Patterns in Words and Symbols. If you check out my blog post where I wrote about the CGOA CAL Five Reasons to Join a CAL this was the prize that I wanted most. I firmly believe that everyone who crochets should own a stitch dictionary. It's an essential resource if you're a designer. And even if you're only getting to grips with basic crochet stitches this book would be perfect for expanding your crochet skills. Each stitch pattern is described in written and charted form and accompanied by an appealing brightly-colored crochet sample. Some of the stitch designs are familiar, many are unique to this book and some just jump out at me from the page saying "make me now!" I know this is going to be a book that I return to again and again. There is a wide range of stitch designs to appeal to crocheters of all skill levels. The stitches aren't rated by difficulty but you generally figure this out by looking at the written pattern, specifically by looking at how many words there are in each row and the number of rows there are in total. The Stitch Collection is grouped into: Simple Solid Patterns, Shell and Fan Stitch Patterns, Openwork and Lace Patterns, Textured Patterns, Colorwork Patterns and Edgings. Reversible patterns are helpfully highlighted with a special symbol if you're making a project where you'd see both sides. 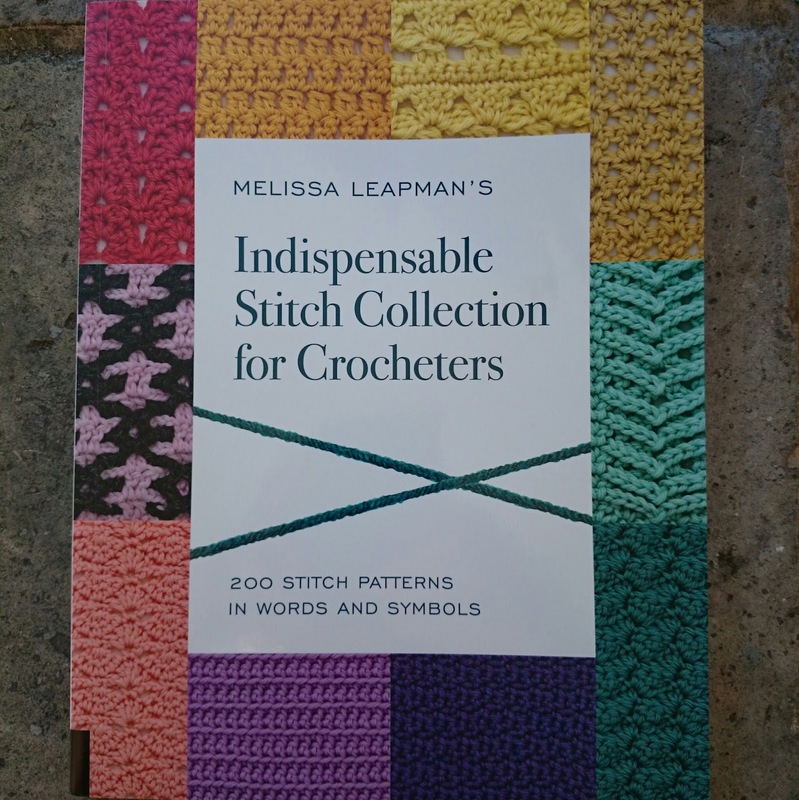 The resources section includes super information on abbreviations, a glossary of symbols, tips on reading crochet charts and diagrams of how to do basic stitches and stitch variations. Melissa suggests trying out the patterns you like by making six inch squares and in the process creating an assortment of spa washcloths or useful dishcloths: the perfect gifts with holiday time approaching. I'm going to get hooking right now! Go for it MW. Enjoy! !